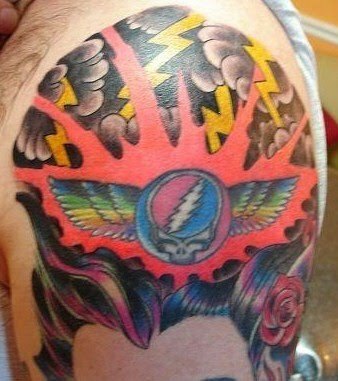 Deadhead Johnny shared some of his tattoos with us. Here's a set of wings he has on his left shoulder. This one was inked by James Marlowe from Marlowe Ink in Fairfax, Virginia.